One of the most impressive points about the small and medium-format Suprasetter is how compact it is. Whilst the basic manual feed CtP has a very small footprint, a Suprasetter A52/A75 with auto plate loading system is by far the smallest platesetter in its class – the ideal pre-condition for being able to invest in Computer-to-Plate (CtP) production without having to restructure. The Suprasetter A52/A75, which is fully equipped with the technology of a high-end machine, offers outstanding performance features. Low consumption for the benefit of the environment: The Suprasetter A52/A75 has the lowest energy usage in its class and it has the lowest heat output. This also has a positive effect on the energy balance. There is no need for additional air-conditioning at up to 30 degree Celsius (86 degree Fahrenheit) ambient temperature. The minimal electricity requirement provides substantial long term, cost savings along with being environmentally friendly. Can be configured for various thermal plates: The Suprasetter A52/A75 offers the right configuration for every type of plates. 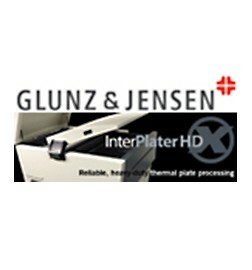 For example, an online processor can be connected for conventional thermal plates, a clean out unit for chemical-free thermal plates as well as a plate stacker for process-free thermal plates. The Suprasetter A106 and Suprasetter 106 offer maximum flexibility and modularity for the medium-size format range. The Suprasetter 145/162/190 is your reliable partner for large-format production.